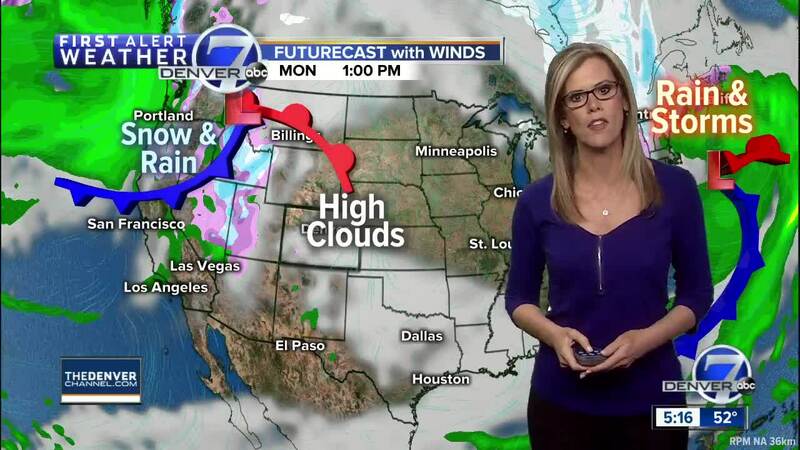 DENVER — It’s not going to be very December-like this weekend. We’re expecting highs that are about 10 to nearly 20 degree above normal from today through early next week. Temperatures were in the middle 50s to near 60 degrees Saturday (and will be for Sunday) and in the 30s to near 40 degrees in the mountains. Dry and cool for the Front Range Saturday night. Conditions for Saturday night’s Broncos game will be more fall-like than what we would typically see this late in December. We’ll see upper 40s and some cloud cover for the start of the game, with upper 30s to low 40s by the end of it. Temperatures will top out in the upper 50s during tailgating! Sunday, skies clear statewide and highs will near 60 degrees in Denver, with 30s and 40s in the mountains. Dry and mild weather will continue for early next week. So far, Denver has received just 7.7 inches of snow this season and by the end of the month we would have normally see around 21 inches of snow.